Dr. Reganato received his DDS degree from New York University College of Dentistry in 2005 and completed a 1-year general practice residency at Long Island Jewish Medical Center in Queens, NY. 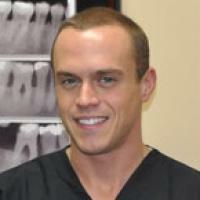 He continued on to a chief residency position at LIJMC and chief officer appointment of the dental OR thereafter. Recently, Dr. Reganato completed a dual certificate program in periodontics at the University of Alabama at Birmingham and at the Veteran Affairs Medical Center-Birmingham, and obtained a master’s degree in clinical dentistry at the UAB graduate school. He finished extensive graduate study over a 3-year period in the area of esthetic criteria analysis of single tooth implant supported restorations in the anterior maxilla. He is a member of the American Academy of Periodontology, American Dental Association, Academy of Osseointegration and the American Academy of Implant Dentistry.